The TDSB’s Bike Rack program aims to help schools promote and support cycling through the installation of bike racks. The purchase and installation of bike racks acquired through this application will come at no cost to schools. By encouraging TDSB staff and students to ride their bikes, we can promote a healthier environment, increase the health of individuals and prevent traffic congestion. If your school has a proven commitment to active transportation and is in need of bike backs, we encourage you to apply! How to apply for bike racks? level of engagement. See rubric for more details. Commitment: Teaching 0.25 Assessed based on the level of engagement. See rubric for details. After you have read all of the information please complete the application form and submit it to Serita.Lawson@tdsb.on.ca by June 30th. NOTE: Preference will be given to schools who are not receiving EcoSchools water bottle refill stations or large trees in the same application year. SUCCESSFUL APPLICANTS WILL BE CONTACTED IN THE FALL OF THE FOLLOWING SCHOOL YEAR. If your school was not successful and you would like feedback on your application please contact Serita.Lawson@tdsb.on.ca. For ideas of what this might look like at your school, review the Active Safe and Sustainable Transportation Initiative Ideas resource, or see the examples below. Targeted signage can help to promote campaigns and communicate to the community the benefits of travelling in an active and sustainable way. Use signage to promote active transportation as both a healthy and sustainable alternative to single passenger vehicle trip. Including interesting facts with your signage can help to draw in your audience. Did you know if children walked for all trips of less than one kilometre, they would take an average of 2,238 additional steps per day? 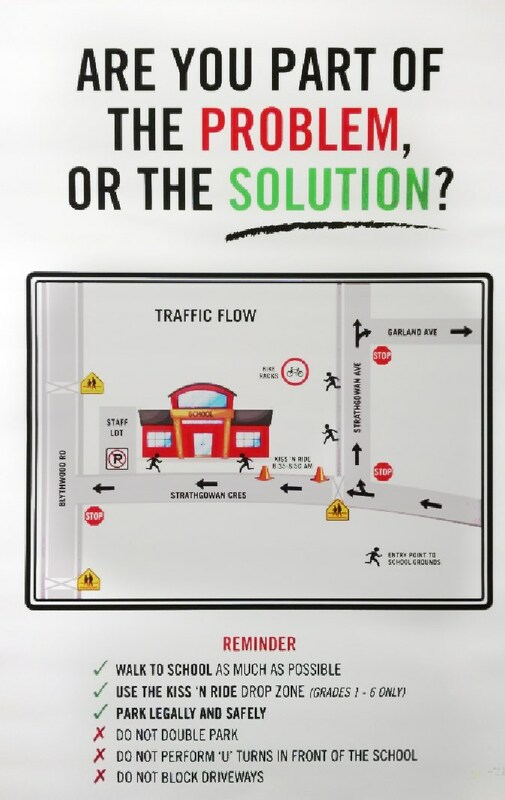 Select a highly-trafficked area of the school, such as in the main foyer, or near the gym/cafeteria, and create an active transportation themed display. Content can be fact-based, including statistics and tips related to the benefits of choosing an active mode of transportation for our health and the environment. Alternatively, you could use your display to promote a campaign or visually represent active transportation monitoring (see below for more details). Tracking the modes of transportation that staff and students use to travel to and from school over a period of time can help to influence the focus of future campaigns. For example, if you notice the vast majority of students are driven to school, despite living within walking distance, challenge students to walk to school once a week through a Walking Wednesdays campaign (see Active Transportation Themed Days below for more details). Use your collected data to set a benchmark and see if there is a modal shift over time. 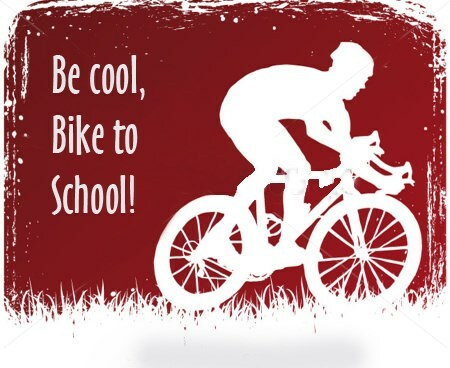 As the name suggests, on Anything But Car (ABC) Day, staff and students are asked to rethink their travel to school and use a mode of transportation other than a vehicle. As an incentive, some schools have experienced success by having a TTC transfer raffle. To thank students for their participation, consider posting thank-you notes on bikes that are locked to the bike racks at your school. Invite staff and students to walk/wheel to school on a designated day each week/month. To encourage participation, consider holding a competition between classes. 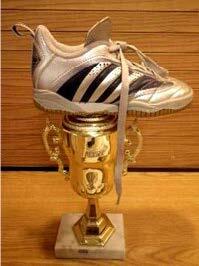 At the end of each week/month, recognize the class with the highest number of participants by presenting them with an award such as the “golden shoe award”. You can also turn this initiative into a fun learning opportunity by counting and celebrating the number of kilometres your school has walked, combined. To put the numbers into perspective, record the distances on a map of Canada. Bike rodeos provide students with an opportunity to learn and practice cycling skills in a controlled environment. During the rodeo, students rotate between stations to learn a variety of cycling skills including proper helmet sizing, road safety, and bike maintenance. Consider Inviting members of the community, including parents, police officers, and your public health nurse to join in the day’s events. For more ideas, check out Ontario Active School Travel's Tips for Planning a Successful Bike Rodeo. 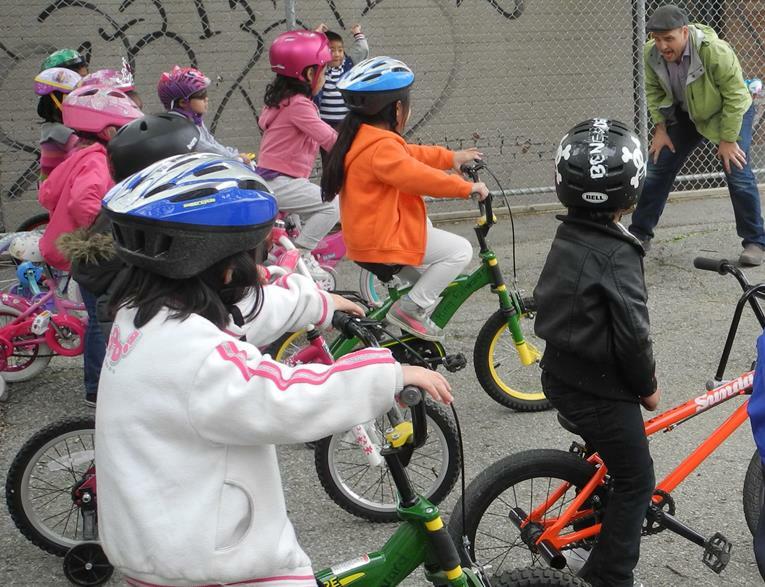 Gather a group of like-minded students and teachers and start a bike club! As a team, plan group rides, go on bike-themed field trips and/or learn bike maintenance skills and road safety. Organizations with a focus on cycling, such as Cycle Toronto or CultureLink may be helpful resources as you establish your club. Contact Serita Lawson if you are interested in connecting with bike clubs in at other schools in the TDSB. Launch a campaign that is dedicated to improving the air quality around your school. 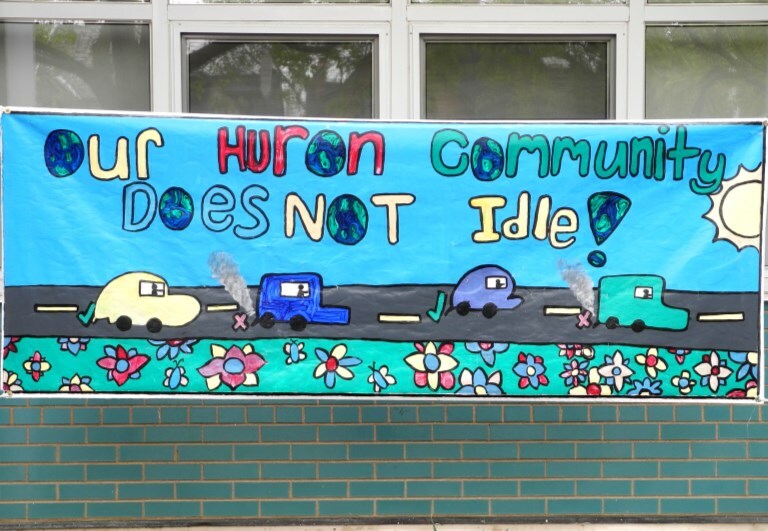 If idling is an issue at you school during drop-off and pick-up times, consider creating some student-made anti-idling signs to remind parents to turn off their engines while waiting. Feeling really committed? Go one step further and establish an idle-free zone at your school. See Ontario Active School Travel for more details. What are the environmental impacts of active modes of transportation/non-active modes of transportation? E.g., how is our air quality impacted by different modes of transportation? How could the modes of transportation that students use to travel to and from school be tracked/assessed/measured? How could changes to infrastructure increase/decrease active transportation in our community? E.g., presence or lack of bike lanes, crosswalks, sidewalks etc. How do structures used in active transportation (e.g., bicycles, rollerblades, skateboards) create friction? safe and active way. Conduct a neighbourhood walkabout to identify the barriers and travel needs of your school and then create an action plan. For a step-by-step guide to creating a school travel plan, see the Ontario Active School Travel's website. Schools can now apply to have a skills-based cycling education program presented at their school, free of charge. All schools are eligible to apply. Schools that did not receive an EcoSchools Cycling Education Program during the previous school year will be given priority in the selection process. All other schools will be selected based on a lottery. 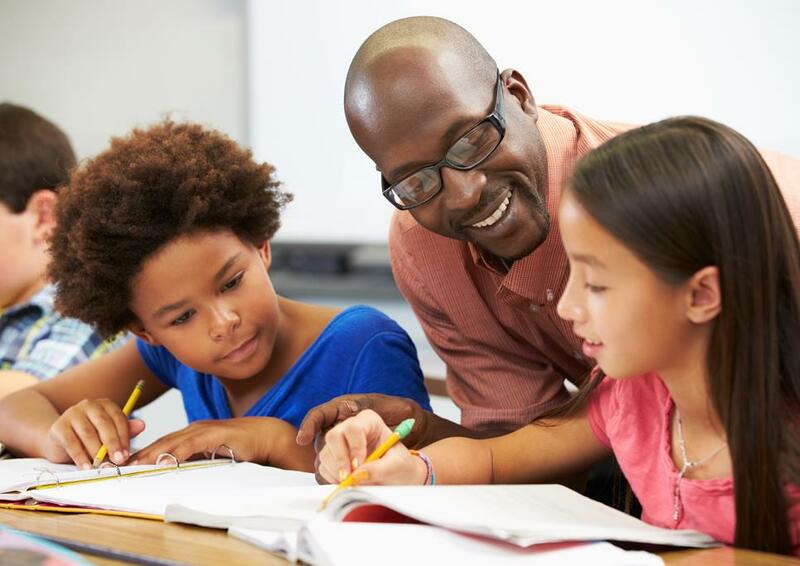 CultureLink can also provide programs on a fee-for-service basis. Contact cycling@culturelink.ca for details. The following is a list of programs available to schools during the spring of 2019. Please Note: to accommodate as many schools as possible, we are only able to offer one free program to each selected elementary school. Secondary schools can select up to two Cycling Education Programs. Four instructors deliver an outdoor riding skills and safety activity organized in six stations. Extra helmets and all signage will be provided. A signed Parent/Guardian Permission for Excursion Form is required for all students participating in this program. It is the responsibility of the school to collect this form prior to program delivery. 69 – 138 students 1 adult: 23 students Yes. Students should be encouraged to bring bicycles where possible. Schools may borrow a fleet of 25 bikes, with the cost of transporting them borne by the school. Two instructors present a cycling-focused assembly. During a typical half day, three assemblies can be presented. The school must be able to provide a laptop (with PowerPoint) and a projector with speakers. Students may bring bicycles in order to practice the skills in class. Two instructors present classroom workshops, with interactive elements, about cycling rules, safety tips and bike maintenance. During a typical half day, two workshops can be presented. The school must be able to provide a laptop with PowerPoint and a projector. Two instructors present an outdoor workshop covering starting and braking, steering, shoulder checking, signalling, and group riding protocol. During a typical half day, two workshops can be presented; the workshop can also be presented after school as an extracurricular activity. Presenters provide extra helmets. 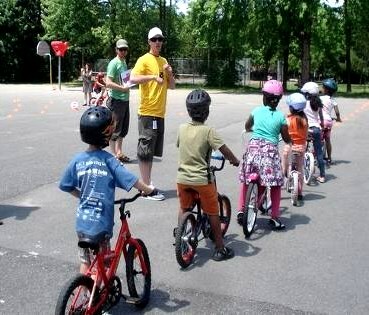 Students must attend a Ready to Ride: Fun and Safe Cycling workshop prior to participating in the Riding Skills Workshop. Together, these workshops meet OPHEA requirements for preparation for student bike excursions off school property. Schools may borrow a fleet of 33 bikes, with the cost of transporting them borne by the school. Two instructors present a workshop introducing the ABCs (Air, Brakes, Chain) of bike maintenance. All tools and some consumables (tubes, cables, etc.) are provided by the mechanic. During a typical half day, two workshops can be presented. 50 - 75 min. 1-2 classes or during lunch period. Note: after-school sessions have not been well-attended. 1 – 2 (depending on # of students) Optional. **The Ready to Ride workshop, Riding Skills workshop, and an advanced Riding Skills workshop (which can include an excursion off school property) can be bundled into a five-day curriculum-linked program for Grade 9 H&PE, provided by CultureLink on a fee-for-service basis. Contact cycling@culturelink.ca for details. After you have read all of the information, please complete the application form and submit it to Serita.Lawson@tdsb.on.ca by February 28th.